In the early 1860’s Sir Charles Gavan Duffy took up land at Sorrento, and in time other professional men built their seaside residences here. However, when the Hon. 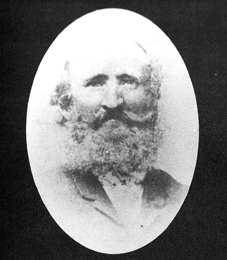 George Selth Coppin, with his ability to quickly grasp the possibilities of the unique marine attractions and historical associations of the Peninsula, used his talents for organization and promotion, together with his power to inject his own enthusiasm into others, a rapid transition from a fishing and erstwhile lime burning village to a bustling seaside resort took place. In 1870 he chartered a paddle steamer to bring a party of city business men to Sorrento in order to demonstrate to them the potentialities for development. Point King became a featured spot again, as the paddle steamer carrying them ran aground there, the party being landed in rowing boats. They were then transported by horse cabs, previously arranged for by Coppin, over a rough bush track to the Back Beach and were introduced to the Ocean Amphitheatre, so named by him. He gained their support, resulting in the flotation of the Ocean Amphitheatre Co, which bought a strip of land, erected several, cottages and later built the Continental Hotel and other houses. It is of interest to note that a cottage with four rooms, kitchen, laundry and servants’ quarters, could be purchased on terms of 6 per cent for an outlay of £600. In 1871, a Government Census showed that Sorrento, including Portsea, had 22 occupied houses with 98 inhabitants and Rye had 14 occupied houses with 69 inhabitants. In order to develop the Ocean Amphitheatre a road was cut through the high cliffs and a large rotunda was built at the Back Beach. This Rotunda, lined with life sized pictures of Royalty when it was first built, commanded a magnificent view. It was visited by thousands of people who admired the glorious scenery spread before them, and became a favourite place for picnickers and a resting place for mothers while they watched their families at play in the well, laid out parks at the Ocean Amphitheatre. It is recorded that “in 1875 the Government Picnic was held there. The most enjoyable entertainment was substituted for the established ‘whitebait’ dinner, and enabled ladies to participate in the political Festival of the Kerferd Government, a naval event which will long be remembered with great satisfaction.” Though it became necessary to demolish this Rotunda, another was erected in its place in 1970, thus perpetuating the vision of George Coppin. Another project was the promotion of Sorrento, where he had a house, as a holiday resort, although he lost a lot of money in building a private tramway there in the late 1880s. After an illness at Sorrento in March 1906 he returned to Pine Grove, Richmond, where he died on the 14th, survived by his wife and their two sons and five daughters, and by two of the three daughters of his first marriage. He left an estate valued at £9709.